This is a rectangular National Stoves & Ranges porcelain sign. This particular National Stoves & Ranges sign is very colorful. 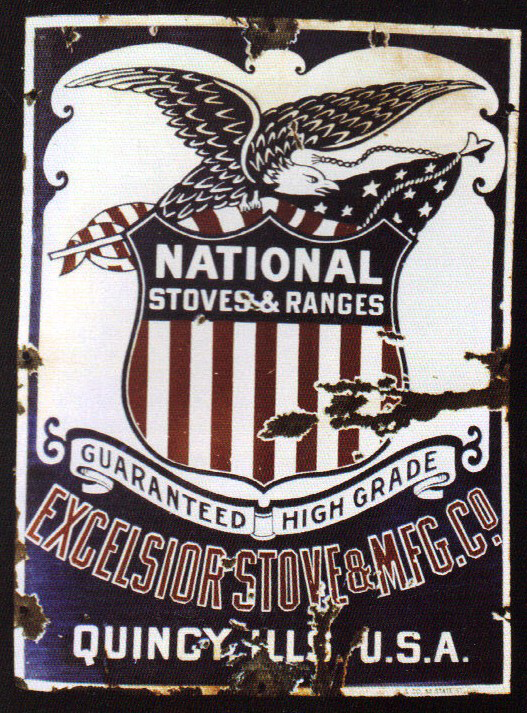 It reads, “National Stoves & Ranges, Guaranteed High Grade, Excelsior Stove & Mfg. Co., Quincy U.S.A.” and features an eagle carrying red and blue shield in the center.